KWV is celebrating its centennial year in 2018. In honour of this milestone, KWV has also introduced an upgrade to its brandy range, ringing in the next 100 years. Its CEO, Boyce Lloyd, has promised to continue to delight the consumer with bold and refreshing innovations that reflect the treasured brand value of KWV and continuing its 100-year-old trailblazing tradition. 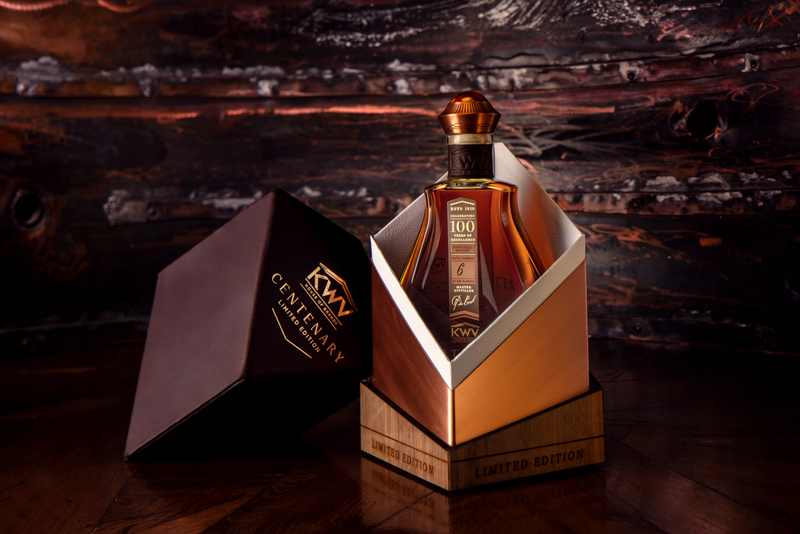 In its most recent display of innovation, KWV has released SA’s most exclusive brandy: KWV The Centenary. This special blend includes its rarest and best brandies spanning the company and SA’s brandy-making history. Guarded and entrusted by many generations of brandy masters, The Centenary includes some of the very first brandy made by KWV back in 1926, along with brandy from the only barrel rescued from a fire that razed KWV’s historic cellars in 1942. The balance is completed with KWV’s rarest brandies, averaging 42 years of age. Only 100 bottles of this extraordinary blend have been produced for release, and at R100,000 a bottle, KWV is hoping to invest in the future of brandy making. “Recognising the need for sustainable growth in the industry, KWV has committed to donate R20,000 per bottle sold to a bursary fund to invest in the future of brandy making,” says Nuno Fernandes, spirits marketing executive at KWV. In honour of this investment, KWV – in partnership with the five-star luxury Cape Grace hotel – is also offering an exclusive buyers’ package: business-class flights; a one-night stay at the premium Cape Grace property situated on a private quay between Cape Town’s V&A Waterfront and the serene yacht marina; VIP chauffeur services; and an exclusive tasting with De Bod where buyers will sample KWV’s premium potstill range, including the KWV Nexus and The Centenary. Master distiller Pieter de Bod is decidedly proud of KWV’s The Centenary – the pinnacle of 100 years distilling “craftmanship, dedication, patience and trust”. Meticulously blended by KWV’s internationally acclaimed distilling team, it has the pedigree of the KWV stable – a global reputation of consistent quality. It carries titles for Brandy/Cognac Producer of the Year from the International Spirits Challenge and the Worldwide Best Brandy Producer Trophy title from the International Wine and Spirit Competition – a strong foundation that makes the launch of a product as exclusive as The Centenary a solid investment. KWV has been at the centre of innovation and development in the spirits and wine industry for the past 100 years, and its latest gem, The Centenary, is more than just an investment in your cabinet. To order, contact KWV Emporium on 021-807-3007/8 or wineemporium@kwv.co.za.